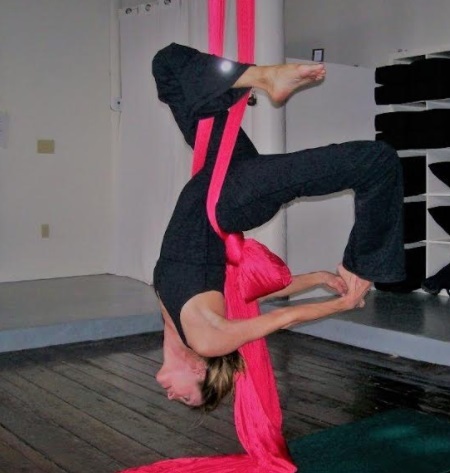 Teri Martin is an experienced yoga instructor (E-RYT 500) and has been a yoga practitioner for more than 20 years. In her yoga teaching, she encourages, leads, and empowers students to tune in to and connect with themselves, creating increased physical and personal awareness. An avid swimmer and former dancer, Teri is passionate about yoga practice and its inherent benefits of increased strength, flexibility, and balance, both on and off the yoga mat. She is an Artist, Art Consultant, Business Advisor, and founder of TheArtNetwork. Teri was previously Managing Director, Seacoast Repertory Theatre, and Vice President of the Board of Directors, New Hampshire Art Association. She has a Harvard MBA, was a CPA for Arthur Andersen & Co, and is a former marketing executive at HBO, Cinemax, and Citicorp. Living in the Boston area, Teri currently teaches at YogaWorks, The Harvard Business School, various corporate locations, as well as specialized private sessions to individuals and select groups. I love connecting with people ---- acknowledging each person encountered, and observing, listening, and responding with care and compassion. Whether students in my class, family and friends, or others whose paths I cross during the day, I try to be mindful of anyone in need of support, or even a smile, to remind them that they matter. This approach is particularly important as a yoga instructor. In addition, I have an extremely strong working memory that enables me to not only remember the names of the students in my class, but also to remain aware of any physical issues they may be facing or personal challenges they share with me. Personally, I am at my best when remaining mindful and positive, slowing down, observing, listening to myself, and letting go. I have been given the gift of total appreciation and enthusiasm for life and the human spirit and I believe that my caring and positive approach allows me to be observant and sensitive to others, establishing an easy and relaxed rapport. I sincerely love teaching yoga, sharing it with others, and that enthusiasm can only encourage my students to develop their practice. I also strongly believe that I bring a certain quiet energy and mature approach to my teaching, which benefits my students. I have already accomplished much in my professional and creative careers, successfully raised two amazing, respectful, and loving young men, continue to be married to the same wonderful and supportive man and am always open to the next possibilities in life. It is this experience that enables me to more successfully connect with and relate to my students of all levels, backgrounds and ages. Personally, I constantly am striving to be as open and honest with myself and others, while pursuing my passions, allowing myself the time to do what I love and be with those who I care for. As a yoga instructor, I can only hope to continue to positively impact the lives of those who take my classes. I am so gratified to witness the expressions on their faces at the end of practice, realizing that at some level I have helped them achieve a deeper connection to themselves, and perhaps a sense of clarity and self-awareness, which is what I myself achieve after every class I teach. Overall, I want to be open to all possibilities, continue to explore my passions, and to keep fully living life and loving it! Being a mother is, by far, my most important and successful accomplishment. Raising our two sons to become the most amazing, respectful, loving adults (and supportive best friends to one another) was and continues to be an extraordinary journey. They bring meaning and joy to our lives every single day. When I was 25 and between my two years at the Harvard Business School, I was offered the opportunity to work closely with Ben Bradlee, Executive Editor of the Washington Post, and the business staff for the summer. Since my goal after earning my MBA was to work in the media/communication/entertainment world, this was an amazing opportunity to get a foot in the door, guaranteeing a permanent position when I graduated the following year. However, I turned down the offer to accept a summer job directing a marketing project for Swissair, at their airport and headquarters just outside Zurich. It was a coveted assignment and, although not my planned career step, was an amazing way to explore living abroad, on my own in a country where I did not speak the predominant Swiss-German language. That summer was a transitional time in my personal development, transforming me into a more independent, self-assured young woman, living and working in an unfamiliar environment with new business associates, making friends in foreign countries, and traveling to places in Europe I had only hoped to visit. My experiences that summer prepared me for a future career in media and entertainment! Go for it! If there is an opportunity to experience something, or someone, new – Go for it! Go with the Flow – When things don’t go as expected, reassess, re-adjust, stay positive and – Go with the Flow! I have always avoided answering when asked who my role models are because I truly do not have any one or several “favorite people who inspire me”. An optimistic attitude when situations seem bleak, the unbelievable strength expressed by a mother with a very ill child, the community spirit generated in support of family and friends who are going through tough times, the sheer delight in those less fortunate and confined to wheelchairs when I guide them through a yoga class, working with their limitations but appreciating all that they can actually do ------- these and those who I come in contact with every day are my role models. I am certainly inspired by my students -- by their willingness to learn, their dedication to their practice, their generosity and growing ability to focus, absorb, and open up. For that I am forever grateful. Growing up in Burlington, Vt., I am particularly drawn to any place with a beautiful lake and stunning mountain views. I thrive on the proximity to water and vast amounts of space. That being said, I absolutely adore visiting any new and interesting place, particularly in Europe, exploring the architectural history and varied cultural differences. My best trips have been with my husband and oftentimes with our sons – each trip unique yet successively better – perhaps because we are referring back to and building on prior experiences, adding to our shared enjoyment. I love art, so some of my favorite objects are my painting supplies (brushes, canvases, colorful tubes of oil) and watching my creations change and evolve into completed works. Whether created as gifts, commissioned by clients, hanging in galleries, or on view in my studio or home, I am drawn to the process and the visual images that result in my work. Obviously, I am also quite fond of my yoga mat, music playlists, and swim goggles! Music, movement, and dancing put a kick in my step, playing piano and painting in my studio feeds my soul, swimming keeps me calm, experiencing and appreciating the love and support of my family fills me with joy, and practicing and teaching yoga brings focus and clarity to my life. I am truly blessed to be able to follow these passions.